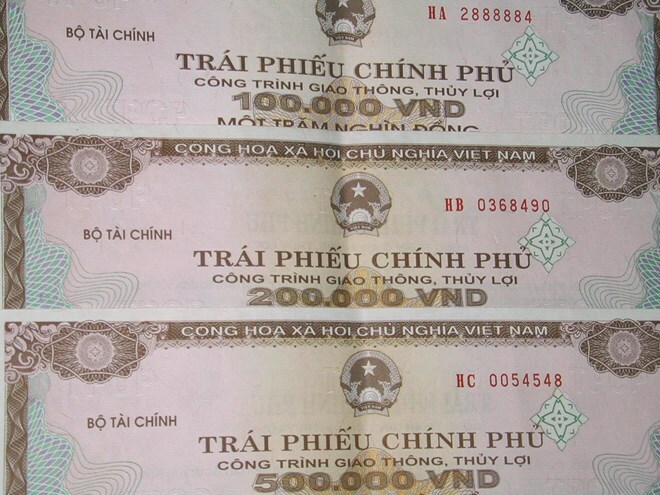 Hanoi (VNA) – The State Treasury of Vietnam has raised more than 60.2 trillion VND (2.6 billion USD) from G-bond auctions at the Hanoi Stock Exchange (HNX) since the beginning of this year. Some 5 trillion VND was mobilised at the HNX auction this week. G-bonds worth a total of 5.5 trillion VND were offered, including 1 trillion VND of seven-year bonds, 2 trillion VND of 10-year bonds, 2 trillion VND of 15-year bonds and 500 billion VND of 30-year bonds. The 10-year and 15-year bonds had annual interest rates of 4.72 percent and 5.05 percent respectively.